Protect Your Earning Power with Disability Income Insurance – David M. Kulawiak, Inc.
What is your most valuable asset? Your home? Its contents? For most working individuals, their ability to earn an income is worth far more than these physical assets. You insure your home; do you also have coverage for your most valuable asset—your ability to earn an income? According to a U.S. Census report, high school graduates stand to earn more than a million dollars over their lifetimes. Those with a bachelor’s degree will earn $2.1 million, while those with a professional degree will earn an average of $4.4 million over a lifetime. However, one in seven American adults will be disabled and unable to work for five years or longer. Workers’ compensation will pay benefits for work-related disabilities. But what if a non-work injury or illness causes your disability? Disability Income Insurance can pay a portion of your lost income while you are unable to work, giving you one less thing to worry about during recovery. Your employer might provide paid sick leave or short-term disability insurance, which pays income replacement benefits for a maximum of six to 12 months. 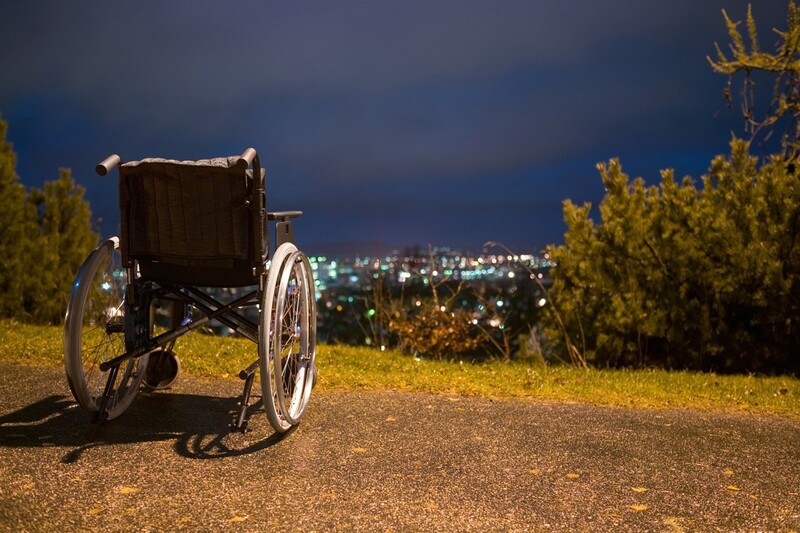 As the name implies, long-term disability (DI) protects you from longer disabilities. A DI policy will pay you a monthly benefit until you either return to gainful employment or reach the policy’s maximum benefit period, whichever comes first. Most individual policies will pay benefits up to age 65, but some will have shorter benefit periods, from five to 10 years. When you buy a DI policy, you elect the amount the policy will pay every month while you’re disabled. Keep in mind that DI policies will replace only a portion of your pre-disability pay, usually a maximum of 60 or 80 percent. This gives the disabled individual incentive to return to work. If you have some disability coverage through your employer, your insurer will generally coordinate your individual DI insurance benefits with your group benefits so you won’t receive more than 80 percent of pre-disability pay. All types of disability insurance have an “elimination period” during which the insured must be disabled and unable to work (or partially disabled and suffering a loss of income) before benefits begin. For DI policies, elimination periods range anywhere from three to six months of continuous total or partial disability. Generally, the longer the elimination period, the lower your premiums will be. If you have six months’ worth of living expenses saved or short-term disability benefits through your employer, you can elect a longer elimination period to save money. If you tend to live paycheck to paycheck, you will likely want a policy with a shorter elimination period. How Do You Define “Disability”? Individuals with highly specialized skills, such as surgeons, might want to buy an “own occupation” policy. If they suffer a disability that prevents them from performing surgery, but they could still see patients and make diagnoses, their policy would consider them totally disabled and still pay benefits, making up for any lost income. However, “own occupation” policies are becoming harder to find. Some insurers will offer own-occupation coverage for a limited period only, say two to five years. After this, the policy would consider you totally disabled only if “unable to perform the duties of an occupation to which you are suited by education and experience.” Others are writing policies with this type of modified own-income definition at the outset. A policy that defines total disability as being unable to work in ANY occupation provides the most limited benefits. The other most important thing to look at is your policy’s renewal provisions. A non-cancelable policy provides the best protection. You receive the same benefits and level premiums for as long as you keep the policy in force—the insurer cannot cancel your policy for any reason except for nonpayment of premiums. Even if you develop a serious health condition after buying the policy, the insurer cannot cancel your policy or raise your premiums. A guaranteed renewable policy gives you the right to renew your policy with the same benefits. However, the insurer can raise your premiums, if it raises premiums for all policyholders in your rating class. How much does a disability income policy cost? Your cost will vary depending on your age, gender, health and occupation; along with the benefits and features you choose. However, you can expect premiums to cost about 1-3 percent of your annual income. Considering that it’s your income that you’re protecting, this is a wise investment! • partial disability or residual benefits, which will pay benefits proportionate to the drop in your income if you can return to work part-time but not full-time due to your disability. For example, if you could return to work half-time and your income dropped by half, you would receive half your monthly benefit. • a cost of living adjustment, which will increase the amount of your monthly benefit on either a flat percentage basis, or according to increases in the Consumer Price Index. • waiver of premium, which allows you to stop paying premiums if your disability lasts longer than a specified period, such as 90 days. For more information on insuring your ability to earn a salary, please contact us.